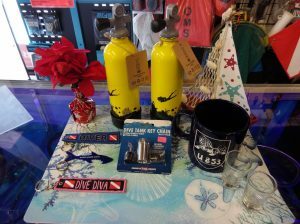 Dive Computers by Shearwater Research are in our opinion one of the absolute best available. 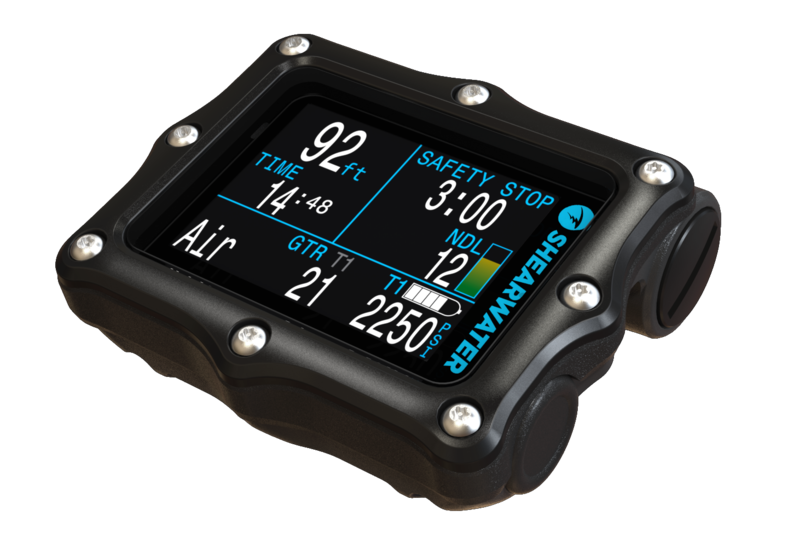 This powerful computer has a large, customizable color screen and can be configured to operate in a Recreational or Technical Diving mode. This means this computer is suitable for your basic open water diver all the way to your most advanced Technical diver. The Perdix is the new standard in advanced recreational diving. 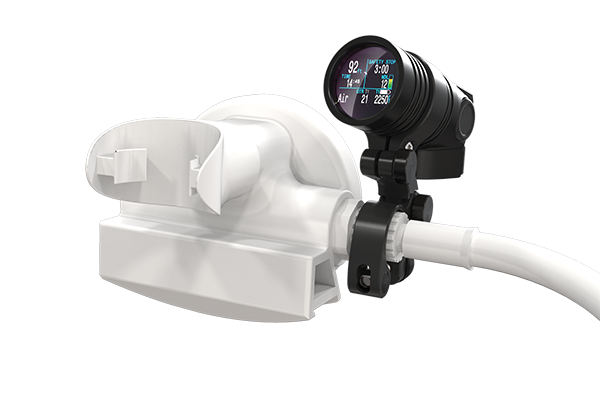 With air-integration options available via remote mounted transmitters on your first stage you can monitor your air consumption right on your dive computer! It'll also calculate air consumption rates for dive planning. The Petrel is well known as a versatile and rugged computer. Containing most of the same features as the Perdix the Petrel is in a larger more rugged housing. It's also available with external connections for rebreather divers. The NERD is probably one of the coolest things out there. 🙂 It's an entire dive computer that mounts right to your primary regulator hose. Sitting just below your field of view, the display appears to be a 30" TV hanging 10' in front of you. Neutrally buoyant in the water, you'll barely notice its there. For more details check out the Shearwater Research website. 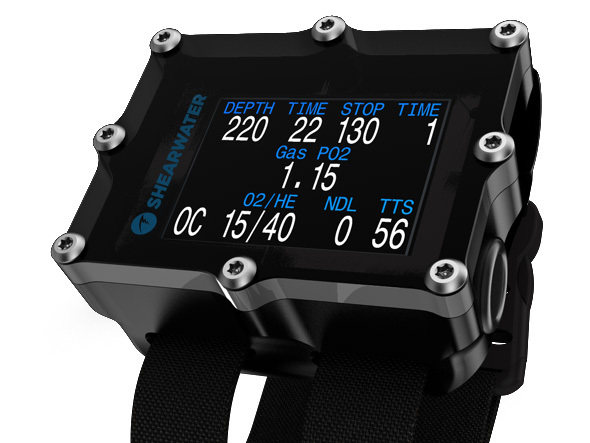 Shearwater Dive Computers start at $849. Contact the shop for current pricing & details.